The week is off to a good start. Twitter tells me lots of successful events were held around the province. 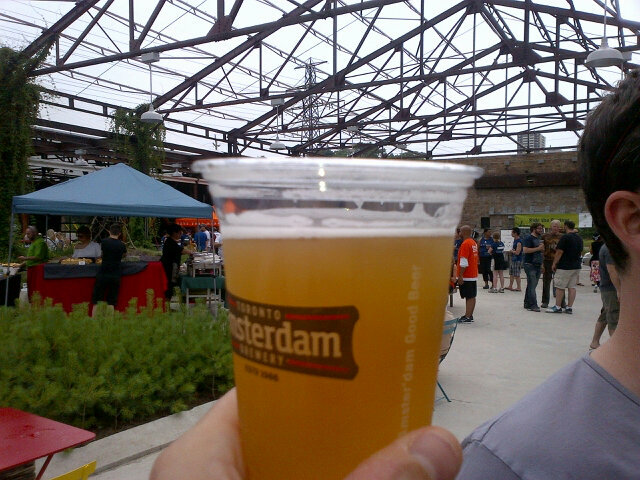 For me, outdoor day drinking was the best option, so I headed out to the beauty Evergreen Brickworks for the Brewers Backyard – Amsterdam Brewery event. I arrived to find lots of good food was being offered up but, more importantly, Amsterdam was showing off with their popular brews and three one-offs. Had to try them all. First up: the Maverick & Gose – Lipzeiger Gose. Yeah it tastes German, and yeah its good. This one will be popping up all over town while it lasts. 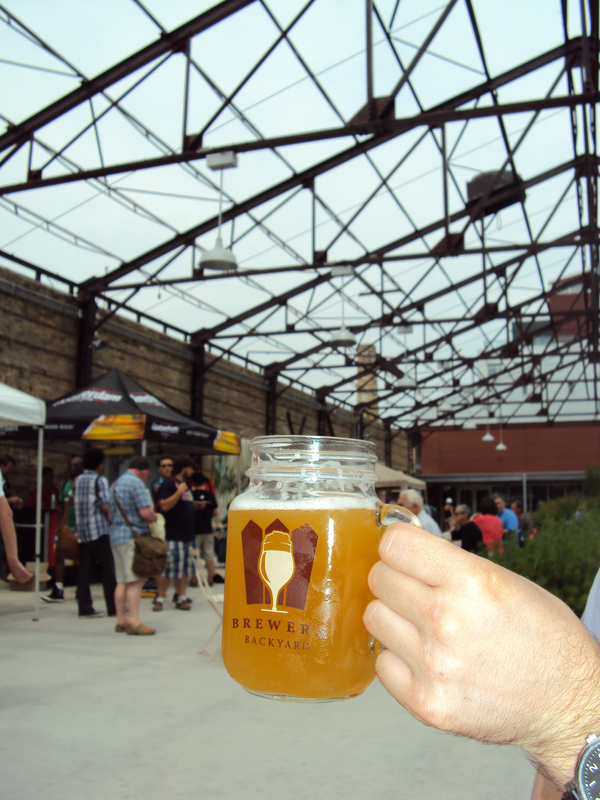 Second: the Farmhouse Collaboration Beer, brewed with Great Lakes Brewery. Another light and refreshing beer, but this time with a bit more spice to it. Also very nice. On a side note, the number of collaboration beers showing up this week is starting to make me wonder: how much fun are the OCbrewers having? Last but not least, the Smoked Porter. They only brewed 50 litres of this stuff, so, barring a new batch, don’t expect see it around. The beer was surprisingly great for the humidity. Basically, its effect on me is what I imagine ice coffee is to others (don’t hate me for that comparison Amsterdam) 0 very sweet and light bodied. 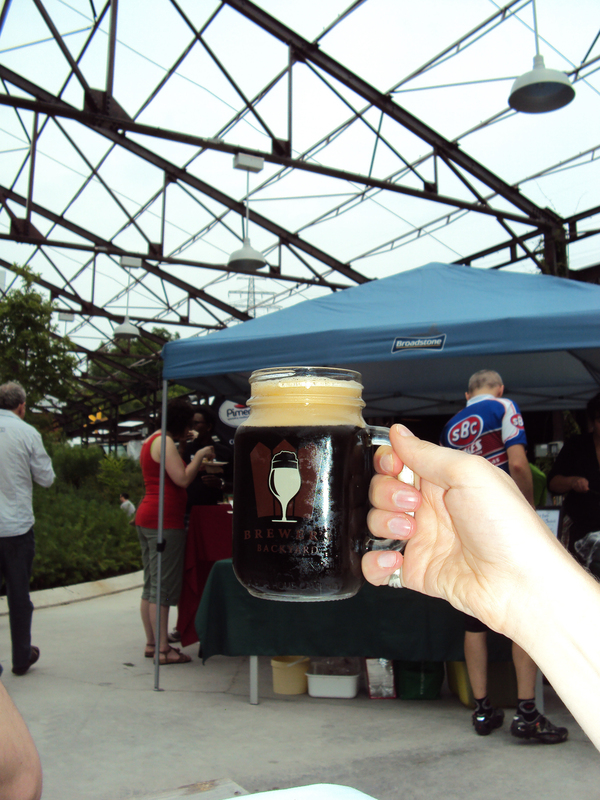 My one bone to pick: They made people wait to bring out the Boneshaker IPA…c’monnnn. Great event though. 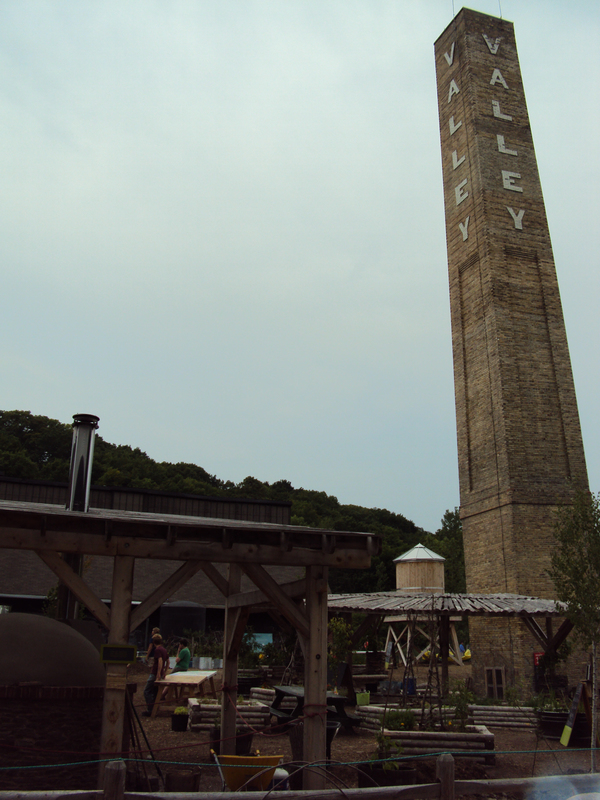 The ambiance itself makes the Brickworks worth visiting; sitting at a picnic table drinking great beer makes it even better. You also have to appreciate the effort Amsterdam is putting into providing new beer experiences this week.